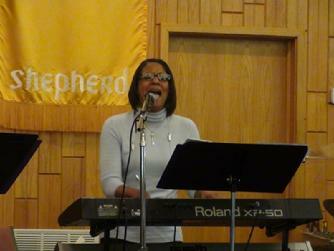 D’Andrea Thomas is a recording artist who flows as a prophetic psalmist. The Holy Spirit has given her a grace to sing while changing spiritual and natural climatic atmospheres; hearing the heavenly sound she then declares the word of The Lord ~ prophesying what the Father is saying! D’Andrea has a directive mandate to teach the body of Christ on how to enter into the presence of God through worship (Individually and Corporately). My Tongue Is A Pen Of A Ready Writer!